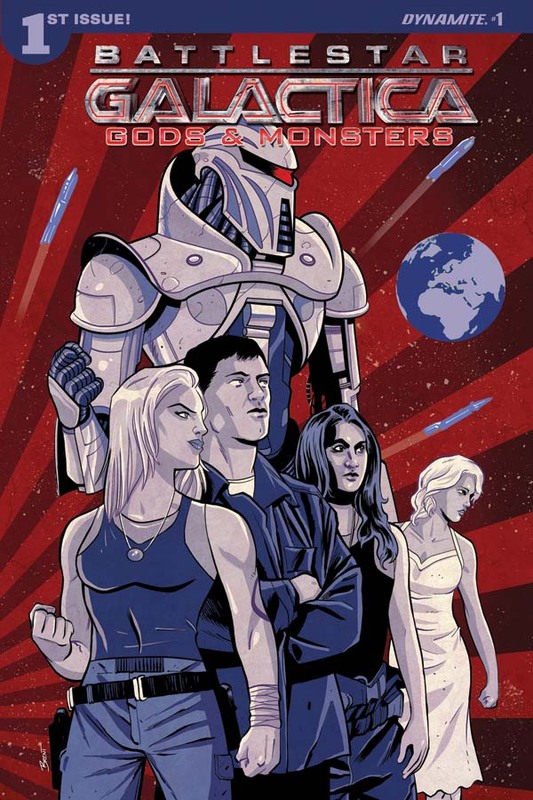 Hot on the heels of the release of the classic Battlestar Galactica series earlier this month, Dynamite announces the continuation of the Reimagined 2004 universe storyline with the release of Battlestar Galactica: Gods and Monsters this November! 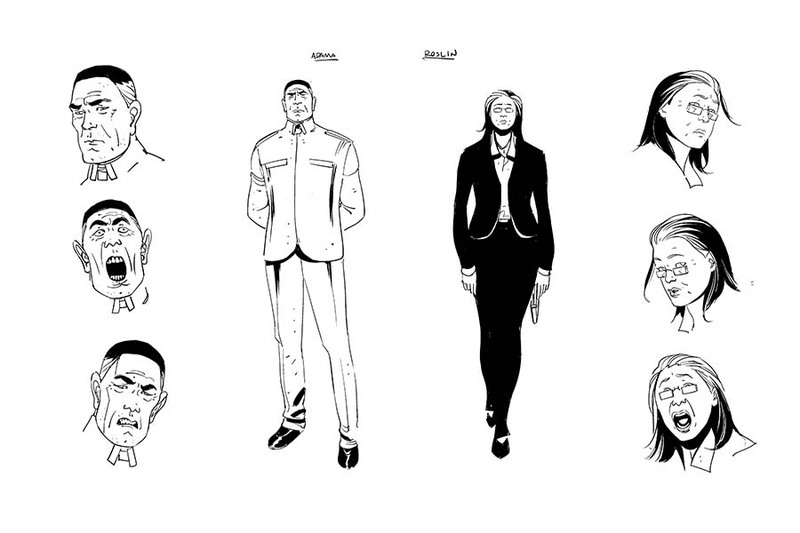 Karl Kesel and Alec Morgan team up for all new stories from the groundbreaking re-imagined series! Baltar believes he was chosen by god- and now moves closer to being one himself when he constructs a living Cylon Centurion! Is it his greatest achievement or biggest mistake? Truly obedient or waiting for the perfect time to strike? Is it the protector of Sharon's unborn baby or its greatest threat? Will the Cylon's bloody history repeat itself? "All the characters everyone loves are here - Sharon, Helo, Adama, Tigh, Roslin, D'anna, Apollo, and of course, Starbuck. And back on Caprica - Anders, Brother Cavil, and the rest of the Resistance fighters," says writer Karl Kesel. "Most importantly, we get to see Baltar go total 'mad scientist' and build a Cylon Centurion from battle-damaged parts." "One of the great things about Battlestar Galactica is that you have two different universes to work with," says Dynamite CEO and Publisher Nick Barrucci. "We do our best to serve both audiences with comics featuring their favorite cast of characters, whether the classic crew and captain, or the newly imagined universe of recent years. What Karl and Alec have planned for this new series is so frakkin' cool, it's sure to win over every generation of fans!" Karl Kesel is best know for decades of work with DC Comics, as well as having written multiple series for Marvel. 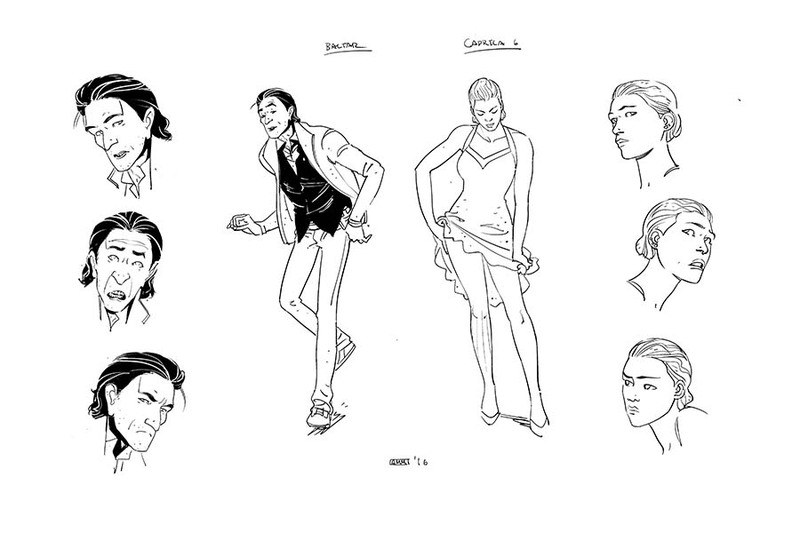 Alec Morgan has worked for both Marvel and DC, most recently on covers for Aquaman and Midnighter. This explosive first issue features covers from series artist Alec Morgan, Pete Woods (Action Comics, Catwoman), and Brett Schoonover (Back to the Future, Howling Commandos of S.H.I.E.L.D. ), and will be solicited in Diamond Comic Distributors' September 2016 Previews catalog, the premier source of merchandise for the comic book specialty market, slated for release in November. 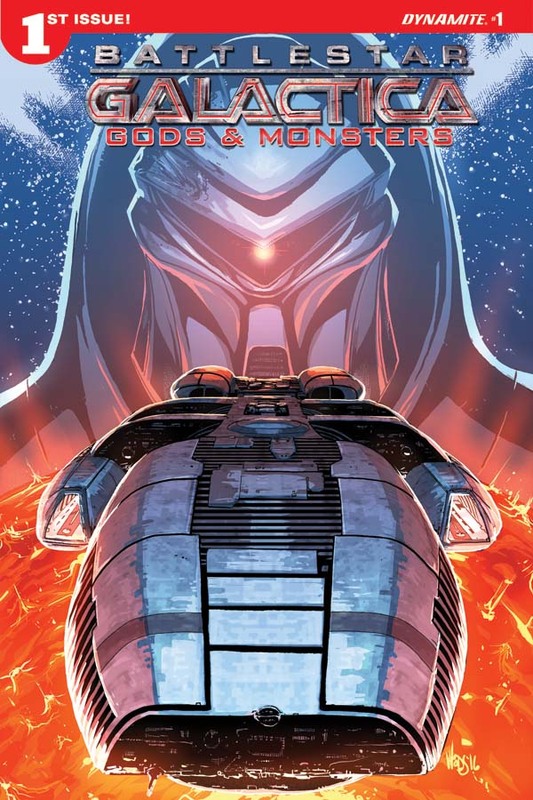 Comic book fans are encouraged to reserve copies of Battlestar Galactica with their local comic book retailers. 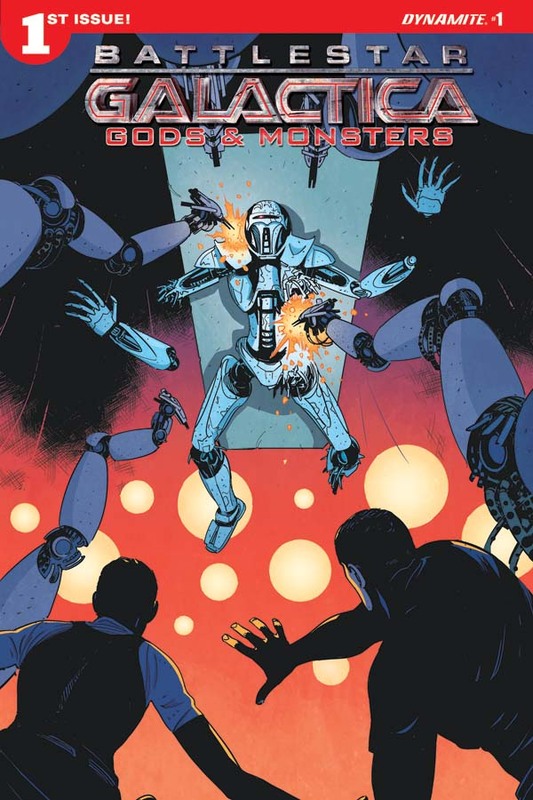 Battlestar Galactica: Gods and Monsters will also be available for individual customer purchase through digital platforms courtesy of Comixology, Dynamite Digital, iVerse, and Dark Horse Digital.